June 11, 2018 (Lexington, S.C.) – First Community Bank is pleased to announce that Drew Painter, Columbia Regional Market President, has been named the 2018 S.C. Outstanding Young Banker by the South Carolina Banker’s Association. Painter received the award—the highest honor presented in South Carolina’s banking industry—during the SCBA’s annual meeting on June 11. This prestigious honor is chosen by the SCBA Past Chairman’s Club and has been awarded to one deserving banker each year since 1970. Past recipients include many prominent South Carolina bankers, including First Community Bank CEO, Mike Crapps. With more than 18 years of industry experience, Drew joined First Community Bank in 2003 shortly after graduating from the University of South Carolina with degrees in finance and marketing. Drew is also a graduate of the Grinnell Leadership Institute, the Greater Columbia Chamber of Commerce’s Leadership Columbia Program and the South Carolina Bankers School, where he currently serves on the board. 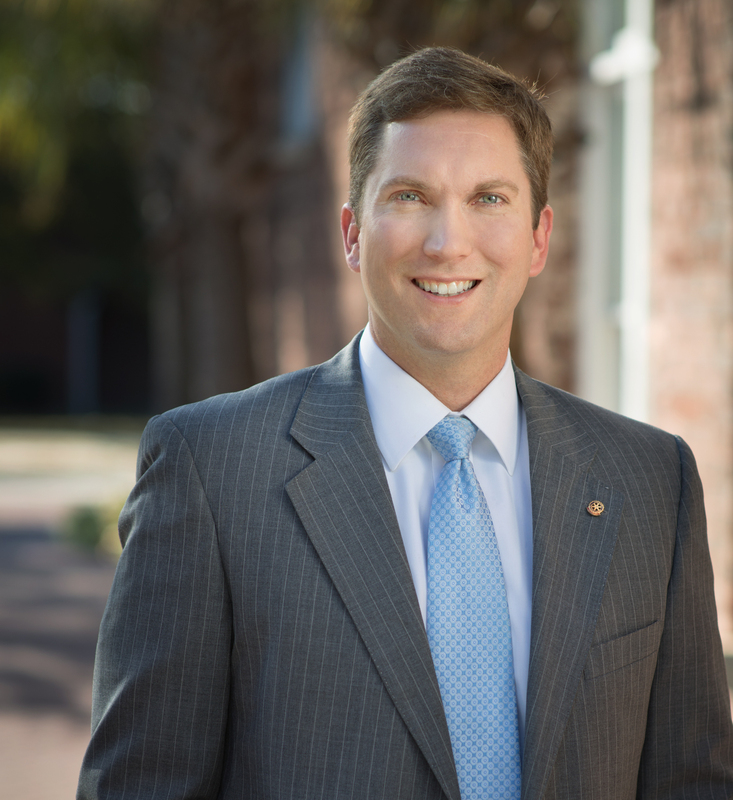 In addition to his role with the bank, Drew is an active member of the South Carolina Bankers Association, serving on the State Legislative Committee and board of directors for the Community Banker’s Council and participating in the Young Bankers Division. Drew’s commitment to service also extends to his involvement in the community. He currently sits on the board for several foundations, including Palmetto Health Baptist Hospital, where he serves on the board of trustees; the Palmetto Health Foundation, where he serves as treasurer and finance/audit committee chair; and the South Carolina Law Enforcement Foundation. Drew’s previous community involvement includes serving on the board of directors for Business Carolina, Inc., Palmetto Health and Palmetto Health Children’s Hospital Foundation, where he served as Chairman. Drew is also involved with the United Way of the Midlands, American Red Cross, Greater Columbia Chamber of Commerce, Carolina Walk Park Homeowners Association, where he serves on the advisory board, and the Spring Valley Rotary Club, where he has held many positions, including president, vice president, social chair and treasurer. Banking is not only a career for Drew, but part of a family tradition. Drew’s father, William L. Painter, was a banker for almost 40 years, during which he served as the President and CEO of First Federal of Spartanburg and on BB&T’s South Carolina Board of Directors, following the sale of First Federal to BB&T. Drew and his wife, Kelly, live in Columbia with their two daughters, Anna Grace and Emma.